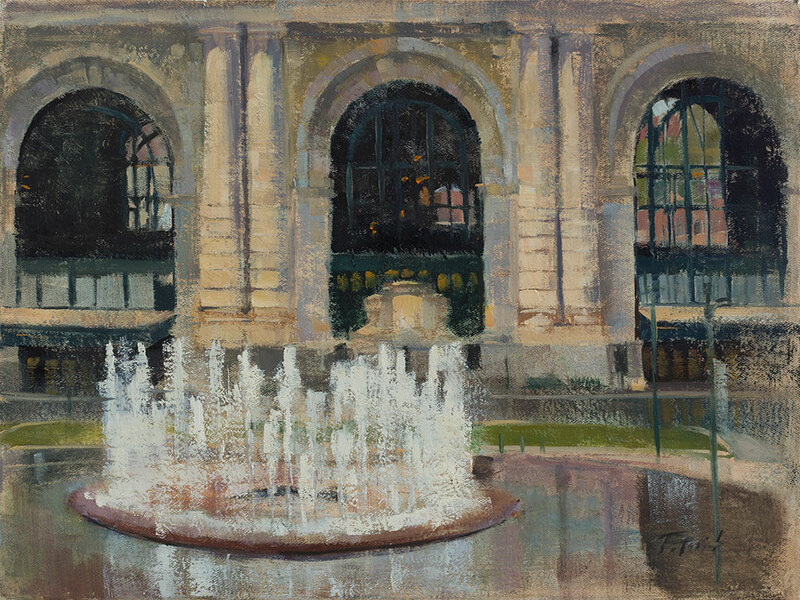 It was a warm day in May when I set out to paint the facade of Kansas City's Union Station, but a severe thunderstorm rolled in as soon as a started. I spent the next few hours soaking wet, pausing frequently to dump the water from my palette. In the end, I was very happy with the result. Even without a direct light source, the contrast of the windows made the painting work. This won first place in the 2015 Penn Valley Park Plein Air Festival.